One key barrier when it comes to adoption of electric vehicles is that they need a long time for charging. The range issue has been solved to some extent with many models like the Chevrolet Bolt attaining ranges that are close to that of petrol powered cars, but charging still takes time. Both automotive manufacturers and consumers are grappling with this issue. BMW is now trying to come up with an alternative approach by tying up with a US company called Solid Power. The Lithium-ion batteries that are used in modern electric vehicles have limits when it comes to energy density. Manufacturers cannot fit more battery packs into cars without further increasing the cost and weight of these vehicles. Though it is expected that the prices of Lithium-ion batteries will drop in the next seven years, space is still a constraint. Toyota has been investigating the use of a carbon-based material called graphene. Solid state batteries have the capability to provide a large amount of sustainable energy for electric cars and can quickly approach a state of higher energy density when compared to lithium-ion cells. Fisker recently filed a patent for a solid state battery that had an energy density which was 2.5 times that of a lithium-ion battery. Solid state batteries comprise individual supercapacitors which can charge extremely quickly. According to Fisker’s patent, its battery can provide 500 miles of range in just a single minute of charging. Hence, solid state batteries seem to hold a lot of promise. 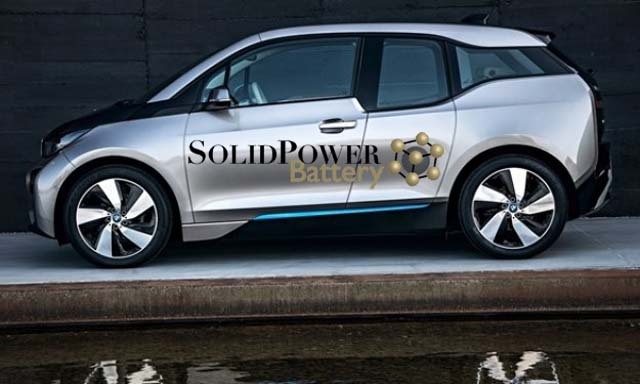 BMW has teamed up with Solid Power to develop next-generation batteries for its vehicles. The German automaker is hoping that the use of solid conductive material will help to achieve faster charging, potentially higher density energy storage and will also help cut costs. A graphene-based system is also safer as there will be less chemical-based fire hazards when compared to lithium-ion batteries. In the event that this technology turns out to be viable, BMW would be able to make its i3 and the proposed new all-electric Mini a lot more attractive to consumers who are worries about the time for recharging and range issues.